The Kermit Special Cocktail is a really refreshing drink to have on a hot day. There are two or more versions you can make all depending on whether you prefer it with alcohol or without. The Kermit Special Cocktail actually has an interesting history, and is in fact connected to me and a few friends. Back in the 70s a group of us frequented the local pubs and one night we wanted something different. So telling the barman to mix us up a fruity alcoholic drink, something green as it was a theme night, he made us the drink and we asked him what it was called. He said it didn't have a name, so we could choose one. We all agreed that it should be called the Kermit Special. Since then it has passed from pub to pub and now its quite well known. I am sure other people came up with the name too, but we always claim it as our own. The great thing about the Kermit Special Cocktail is that you don't have to stick to one recipe. 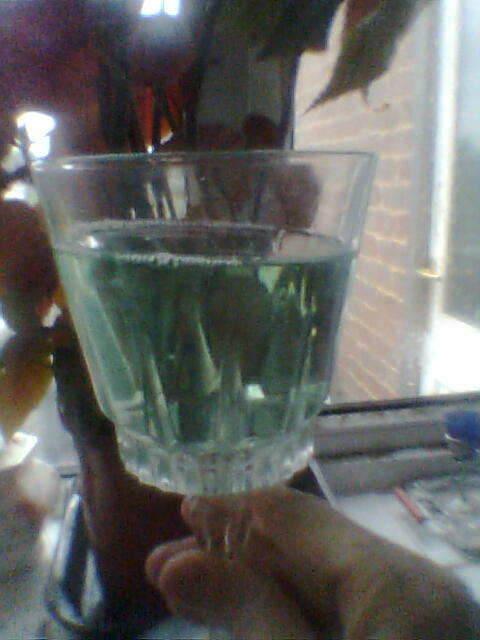 It is entirely up to you whether you use lime, or even blue Curacao liquer. The blue is an added food colorant. In fact it is colorless in its natural form, or an orange rust colored appearance when it is aged or in Cognac form. Adding lime will turn it a dark green. You can either buy your limes fresh, or by the can. Fresh is better as you can add the fruit to the drink. Pour the vodka into a large bowl, then slowly add the Curacao. You want the blue color to show up as much as possible, but not too dark. Add the lime juice. If you are using fresh lime, squeeze the lime into a cup and mix with water. You don't want the drink to be too strong. If you are using canned lime then you don't need to add water. Now slowly add the lime juice to the vodka and Curacao. Make sure you add enough lime to make the drink turn green. 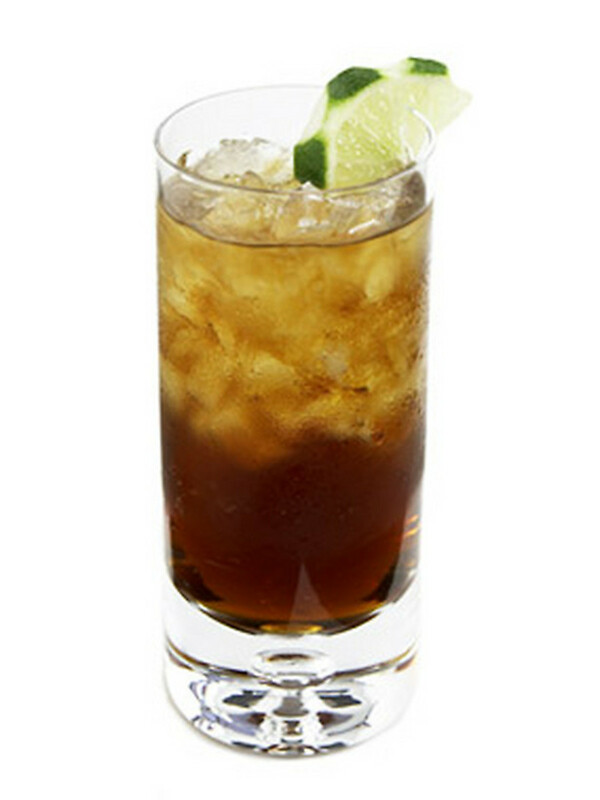 Add more of the lime or curacao to get it just right. Now for the perfect Kermit Special. Get out the cocktail shaker. Now shake it for a few seconds, really giving it a mix. Pour over ice into two glasses and add the lime wedges to the sides. 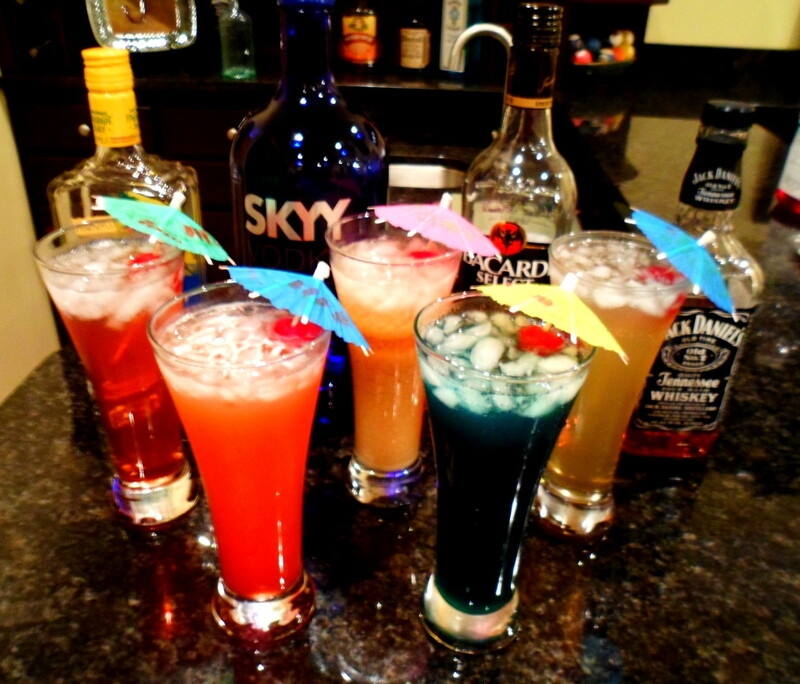 This drink recipe is very versatile. By adding pineapple juice instead of lime it will give it a sharp zingy taste. If you don't like vodka, you can substitute it with white rum. In fact any combination will do as long as it turns out green. This is also standard in the pubs. The actual use of the word Kermit is more to do with the color than the actual ingredients. Mix all the fruit juices together in a large bowl, pour in crushed ice and mix. If you want to make it sweeter add cut up strawberries and slivers of apple. The kiwi fruit will take away the sharp tang of the lime and pineapple, and the strawberries and apple will sweeten to taste. Add water to dilute. Just mix all the above together in a large bowl, add loads of crushed ice and place in freezer for as long as possible. Make sure you cover it otherwise it will become too frozen. Approx an hour should do it. But use your discretion. Take it out of the freezer and let the kids loose with the paper cups! A great summer drink for those hot days. 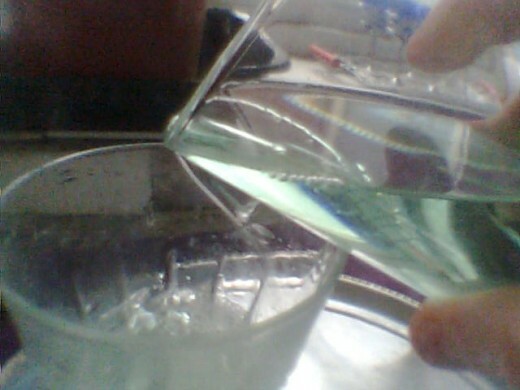 If you find that the mixture isn't green enough, just add a drop of food colorant to the mixture before freezing. And of course you don't have to make it green, why not mix up the fruits in a variety of bowls and have a color party? Red fruits, purple fruits, orange and lemon! Your choice! Hi ps, I used to love it back in the day, it was a lovely refreshing drink, as long as it didn't have to much alcohol! lol! have a wonderful day! Hi Audrey, thanks so much, not sure who shared this? I had totally forgotten about it! lol! 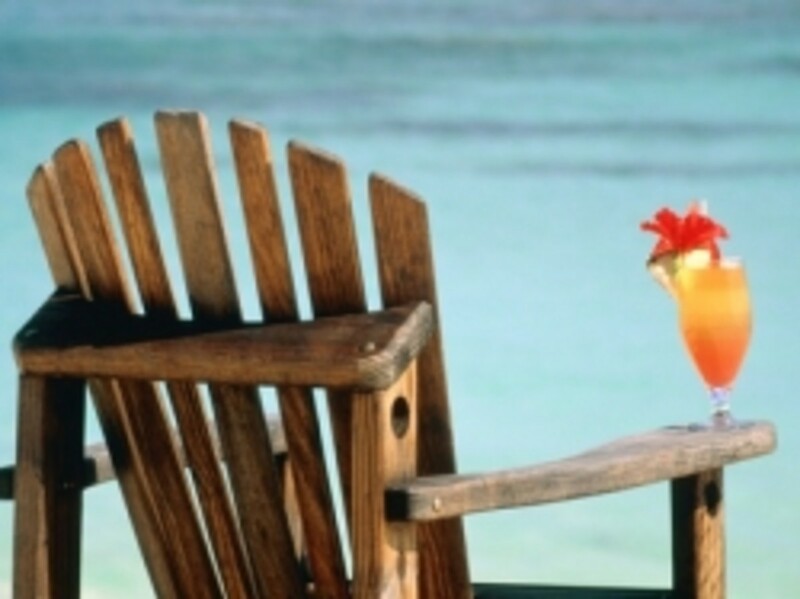 From the very look, it looks refreshing! For me, it would be non alcoholic. Would love to try this. Thanks for sharing the instructions and the pictures. Voted up! O my...I could not drink a Kermit ....I love that little frog. Now if I visual him drinking one, then okay I can. Thanks for this lovely drink recipe. Mix me up one Nell! Make it non-alcoholic please. Green is my favorite color. What a great recipe. So happy you've shared this and I'll do the same. Hi Alicia, glad you liked it, now for the miss piggy! or so I've been told! lol! Thanks for the recipes, Nell - especially the non-alcoholic one. It sounds very refreshing. 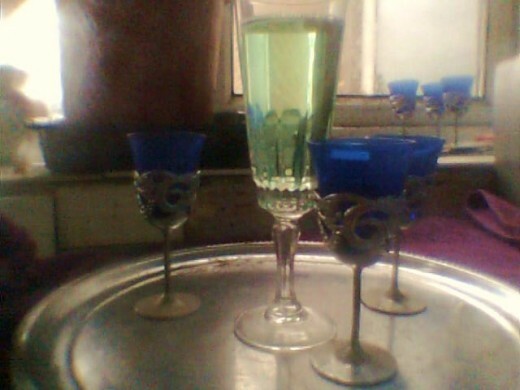 The green color of the drinks is attractive, too! Hi Lilleyth, lol! what a great idea! it would have to have a good kick to it! ooh sorry for the pun! haha! Now we need a "Miss Piggy" cocktail to compliment it! Lol! Some good fun with the drinks Nell! Make mine a double KSC! Hi beth, thanks as always, they are delicious! lol! Nell, this sounds good, both versions! Thanks Hilary, that sounds interesting, I will pop over and take a look, thanks! Wow! I'll need to try this one - I love the 'Kermit' green colour as well. You can have the best of both worlds with this one - non alcohol maybe during the day and then add the vodka at night! Sounds perfect. Now all we have to wait for is the British weather to turn from rain into sunshine so we can enjoy or Kermit Specials in the garden!! Voted up + awesome!! For some reason it looks like there is a blip in the works! I signed in and answered comments, but its come up as anonymous! seems that kermit has a fight on his hands with gremlins! lol! Hi mhatter, lol! That's the one, good old kermit! thanks! Heheee, this is such a fun drink!!! Sounds delicious, too. And I love the table at the end! Yay for vitamins! I love drinks that offer value beyond deliciousness and drunkenness. Oh, Nell Rose, how I adore that first photo in this hub and how I would love to sit there are share a Kermit Special with you. Mmmm that looks absolutely delicious, I love anything a bit fruity... Yes i'm talking about the drinks.... I look forward to tasting this. Thanks kermit. Thanks for sharing this. 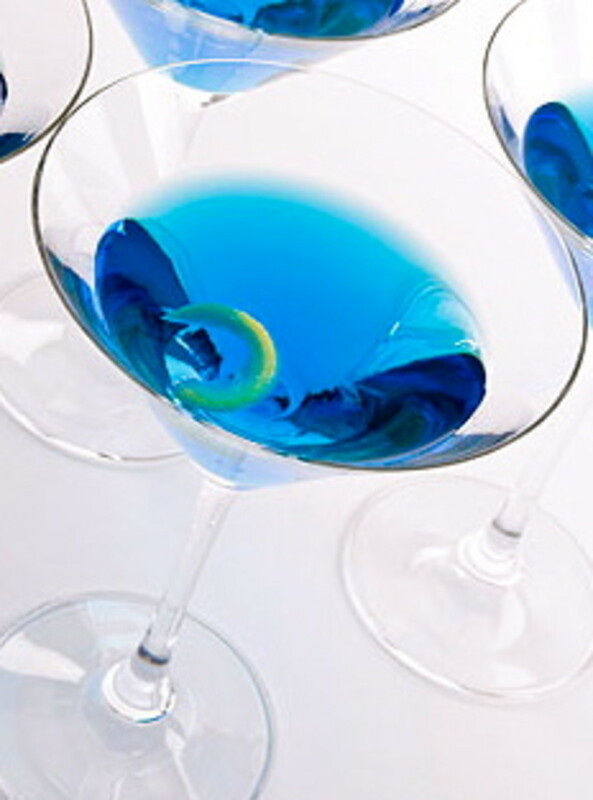 I was thinking that this would be a great cocktail for Earth Day, not only for the color but for its ingredients. Voting this Up and Useful. You must have really great parties Nell. I am definitely going to try the non alcoholic one. I am always looking for good ways to use lime and this looks like it! It really looks good. Thanks! Hi jacob, thanks so much, just put kermit in front of the name of the drink and you can add whatever you want, thanks! Sounds delicious! And I love the name! The best part is it's versatile and the color can change to match your outfit! How original. I'm doing the non-alcohol thing these days, keeps my energy up. 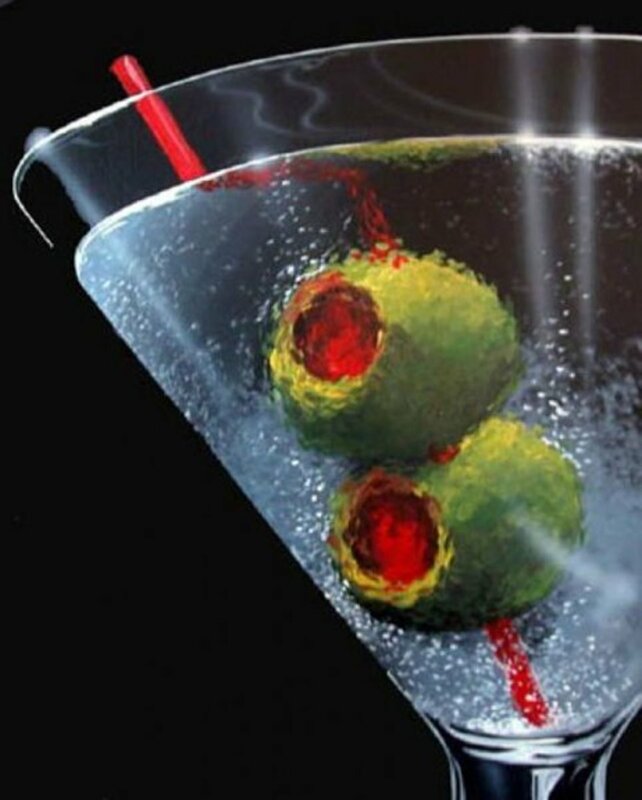 Nell Rose.....OH boy...sounds yummy...with or without the spirits! 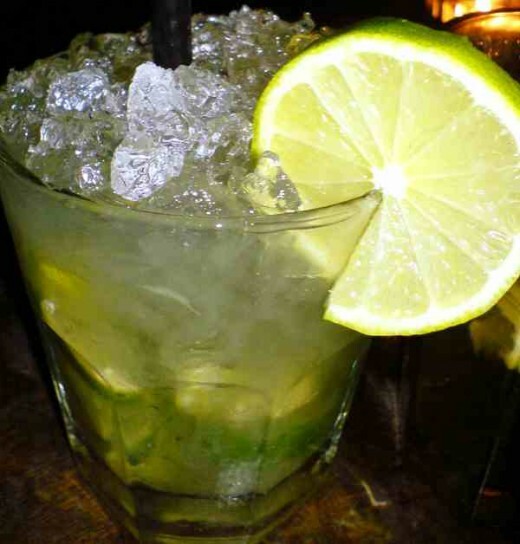 It is so much fun to make up drink recipes.....ESPECIALLY, in younger days when I did my typical pub-hopping with friends. Ouch...I still remember the dastardly headaches. WHY did we do this to ourselves? So many brain cells Rest in Peace.